Are you ready to upgrade your team’s technical or soft skills by equipping them with the knowledge they need to increase workplace productivity? The Career Skills Institute offers affordable and hands-on courses led by top instructors at the forefront of their industries. Discover brand new technical knowledge or consider expanding the current skillsets of your employees — no matter the circumstance, we are here to help! At the Career Skills Institute, we focus on practical workplace and industry specific applications. We believe knowledge and effective training saves time and money, helping to ensure your business succeeds at every turn. Why choose the Career Skills Institute? Our courses cover a wide array of topics and industries. Choose from IT, Microsoft Office, Quality Assurance, Soft Skills and so much more. You’re busy. We get that. The Career Skills Institute will assist in customizing the perfect course curriculum to meet your company’s specific needs and schedules. Benefit from our faculty of outstanding industry experts who work alongside our dedicated support team to ensure that all of your requirements are met! Onsite training is always available at a affordable price! Our qualified instructors and trainers will work at your facility directly with your team. Technology is constantly evolving and it’s easy to get left behind. 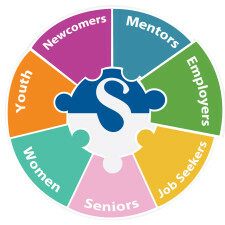 The Career Skills Institute is the solution. We offer a wide variety of the most in demand technical courses available! Technical skills are the abilities and knowledge needed to perform specific tasks. They are practical, and often related to mechanical, information technology, mathematical, or scientific tasks. The Career Skills Institute will make sure your team is at the forefront of their technical abilities, empowering your organization with the competitive edge necessary for success. In just five to ten sessions, your employees can successfully ramp up their technical skills, master the most popular office applications, and even upgrade to the latest network certifications! Career Skills offers cost-effective, onsite training to help your business reach its full potential! Soft Skills Training is crucial for enabling managers and employees within any organization to overcome conflict, increase employee engagement, and to build a culture of high-performance within the workplace. Designed with everyone in mind, the Career Skills Institute Soft Skills workshops are open to all levels of experience. If you have employees you’re looking to train in areas such as communication or collaboration, we’re here to find the best possible options and solutions for your company. With over 200 distinct ethnic origins represented in Toronto and half of its population born outside of Canada, having a diversity strategy in your workplace means managing a diverse workforce that can contribute to increased staff retention and productivity. Our diversity services can help you respond more effectively to a diverse world of customers, connect you more closely with your surrounding communities and help you successfully manage growth and change in your workplace.